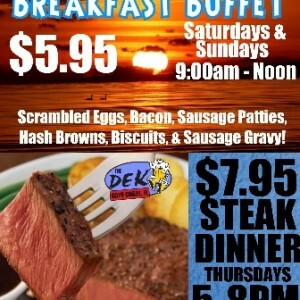 New Steak Night & Breakfast Buffet coming this week! Firefighters Raise $ for MDA during BBQ today @ The Dek! Bike Day @ The Dek!